Audie is going to be in High School this year, she no longer wants anything to do with Princesses and Pink, Audie’s castle must have a make over. .
Every few weeks, I play golf and Brandon wants to join me for a round, but he never played before. 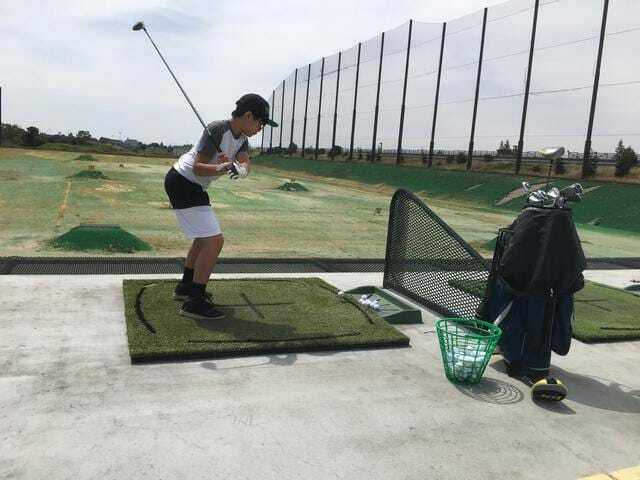 We went out to the driving range for him to practice. Brandon seems to do well with the second and 3rd time.